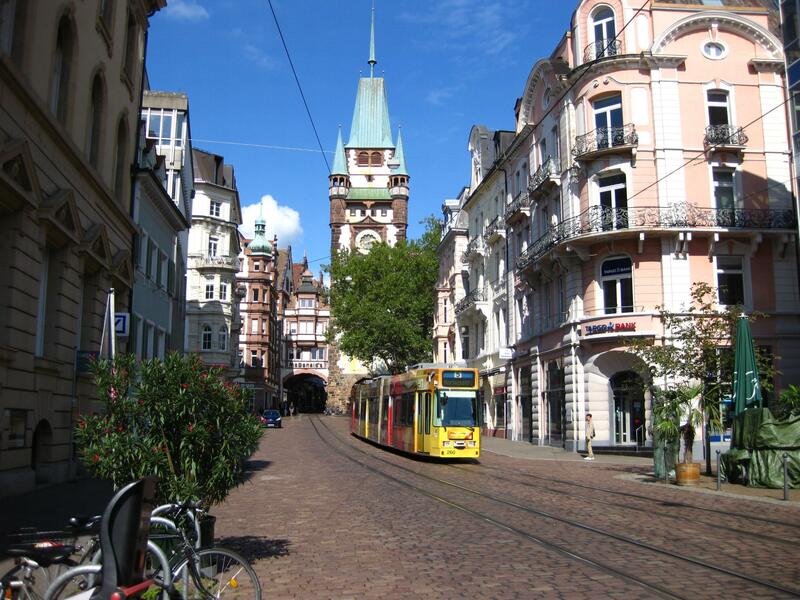 The second half of this week has been all about Freiburg and transport. It’s a small city full of trams :), an eclectic mix of old and modern shuffling through all the small city centre streets and outwards to the suburbs. A university town so plenty of young people, trendy shops, bars and restaurants mixed with a good sprinkling of things for the tourists. 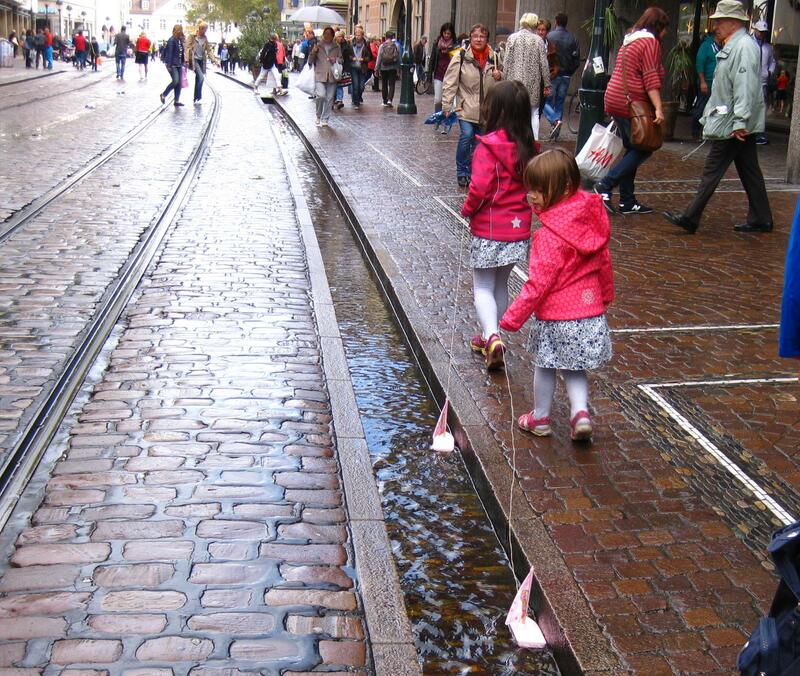 One of the things the city is known for are the Bächle, small water-filled runnels, supplied with water by the River Dreisam. These run along the edges of most roads and streets in the old city, originally used for carrying drinking water around the city back in the 15th century, now popular with tourists and with children who sail boats along them. When large parts of the city were destroyed by 300 bombers from the British RAF Bomber Command in 1944 most bächle were badly damaged. 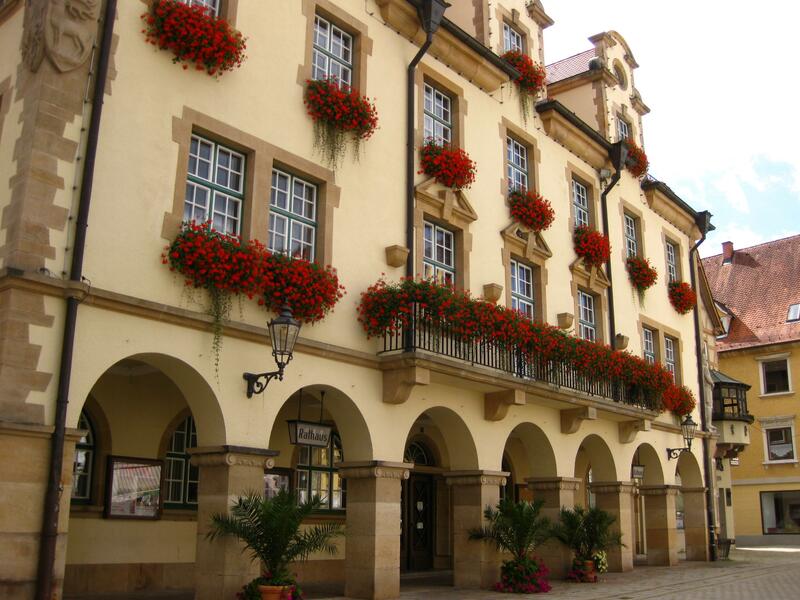 Since being rebuilt two people have tried to sue the own when they have driven into or tripped on a bächle – in both cases the courts found against the claimants and made them pay costs as they felt it impossible not to visit the city and know they were there. 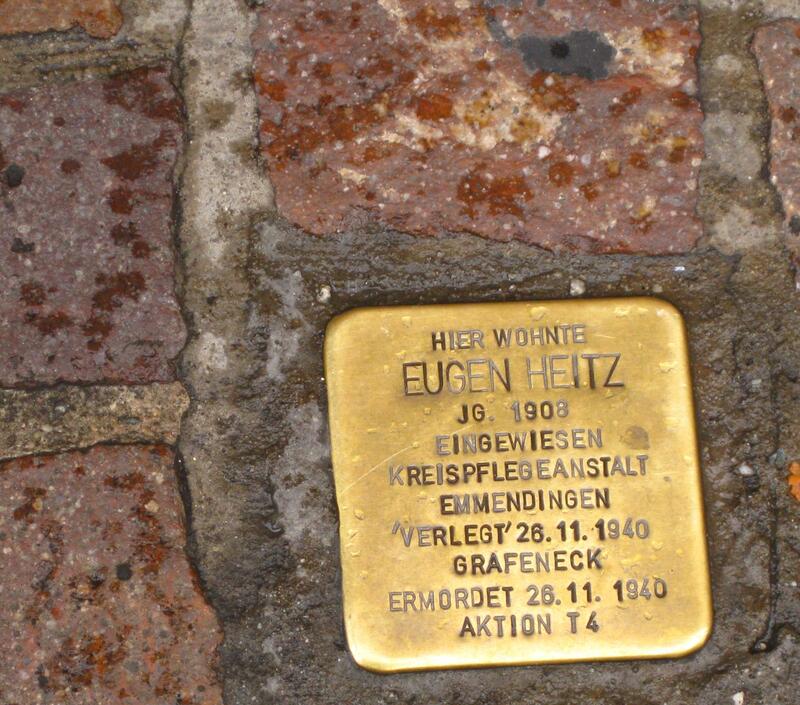 On the cobble streets there are small brass plaques inset, called ‘stolperstein (stumbling blocks), each one commemorates a German who lived in there and was affected by Nazi persecution, concentration camps, death, emigration and even suicide. As of last year 48,000 of these plaques had been placed throughout Europe – the sight of them is another stark reminder that war touches so many. For a small city its certainly noisy, every 100 yards there are accordion players belting out Bavarian music, many very good, some not so good but taking the chance on a few coins, add to them a mobile funky jazz band touring and it was anything but peaceful. 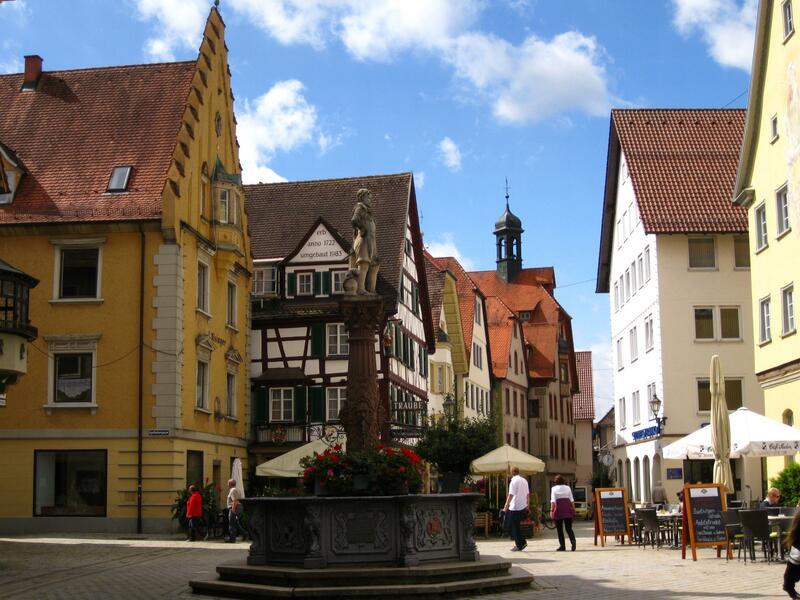 All the regular city attractions are in the old town within 15 minutes walk of each other, a massive Gothic Cathedral cathedral dominates and around it there is a cracking ‘Munster Market’ open five days a week. 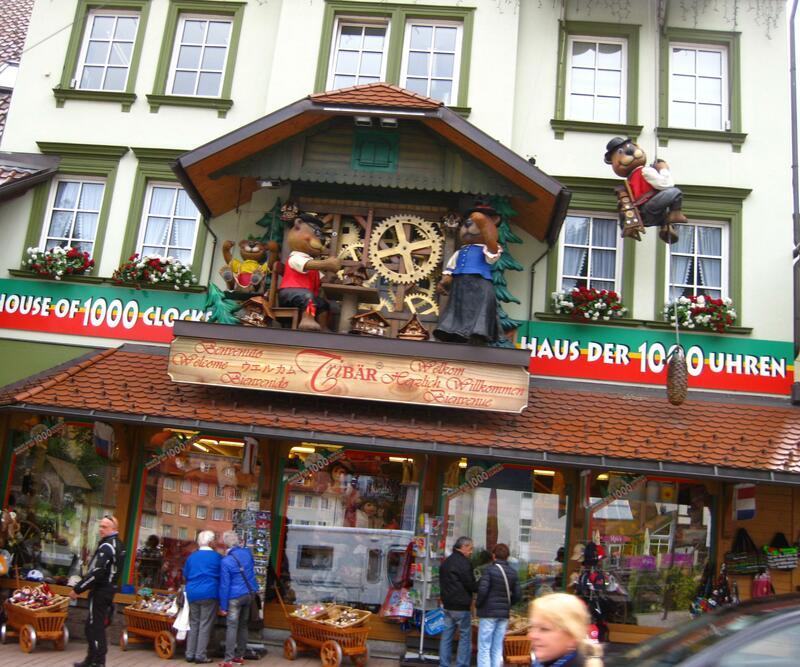 Plenty of “ye olde German wooden toys” etc but it has numerous flower, fruit and bakery stalls too. 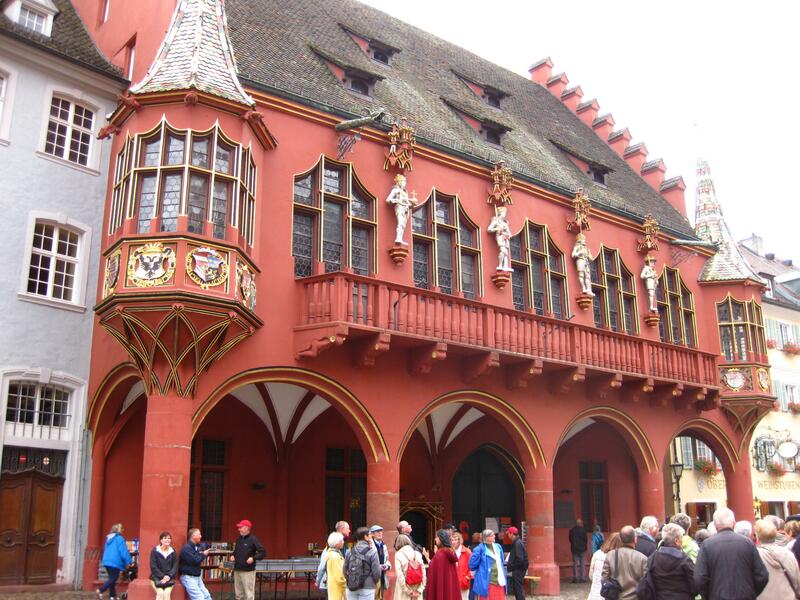 The city tours take a walk around many of the oldest buildings including several red stone 16th century Historisches Kaufhaus – former merchants houses. 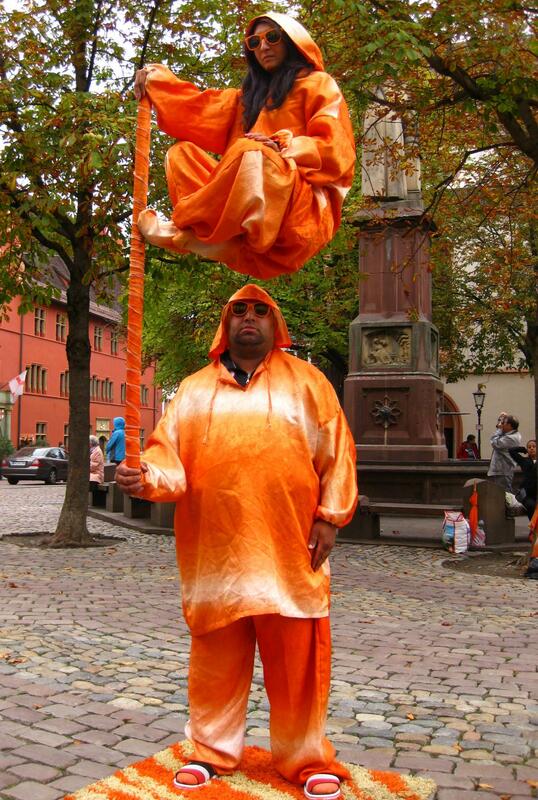 We were already mightily impressed with the amount to see and do, then we came across the pièce de résistance – a “floating woman” illusion. Iain wasn’t fussed and felt he could explain it all away – I on the other hand love it, I could have stood there for an hour. I adore people who get off their bums to make a fee euro rather than rob old ladies and if they do sitting on a platform pretending they are floating then they get my couple of Euro everytime. For a small city we found so much to do, despite poor weather, for most of the four days we have been here. 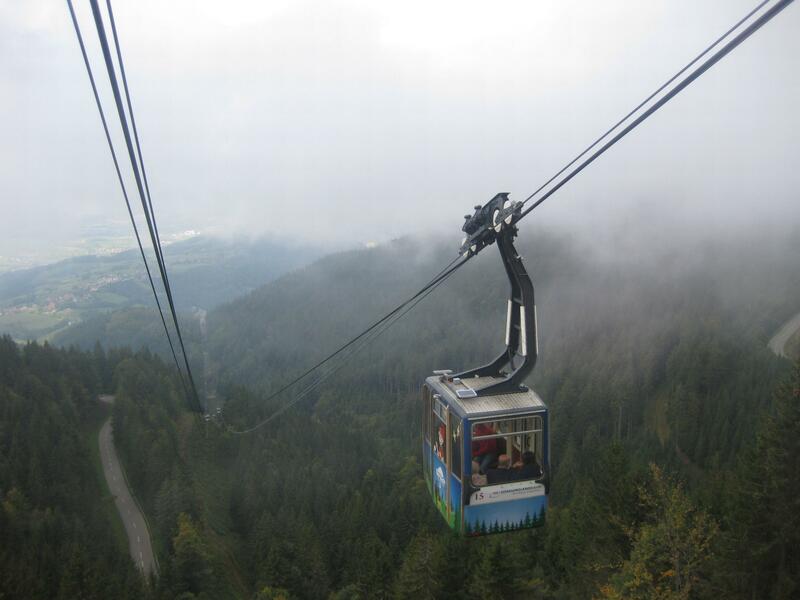 The one thing we hadn’t done was visit Schauinsland, for a few reasons : its over 4200 ft high and to get to the top you take the longest loop cable car in Germany for just over 2 1/2 miles – the ride in the cable car takes 20 minutes. This morning it was reasonably sunny and we had nothing better to do, so a bus and a tram later we were at the base station. No matter how brave I thought I was after a few chair lifts nothing had me ready for this. It was horrendous, this little glass bubble trundling up into the sky on a bit of wire, however as there were another four people in our bubble, sorry car, then I had to put a brave face on. Twenty minutes is a long, long time – 1200 seconds and every one of them felt like an age. On the plus side, as a loop cable car you don’t get the horrendous shake and judder as it passes over the pylons, also when its thick with cloud you can’t see too far which for me is a bonus! 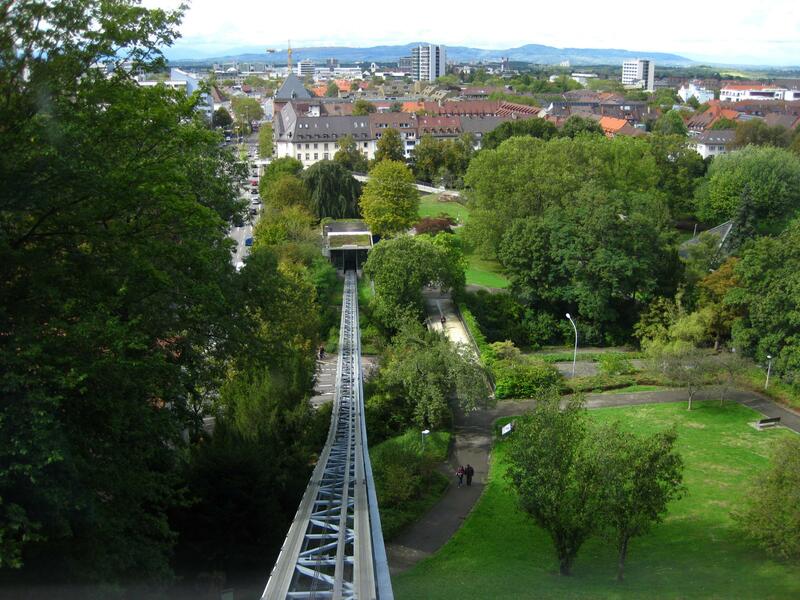 It was built in the 1930’s but closed down in 1987 when the a safety permit wasn’t granted – only to be re-opened again in 1989 after updating of the cable cars and cable stations. At the top there are several cafes, restaurants,play areas – oh and a massive car-park as there is a road all the way to the top, in my new found cocky braveness though roads are for wimps :). We were expecting amazing views but the low cloud looked set in on the mountain and we made do with a sit on the deckchairs looking at the grey mist. We did plan to walk back down, but as it was cold and a bit damp at the top we came down on the cable car back into the sunshine. 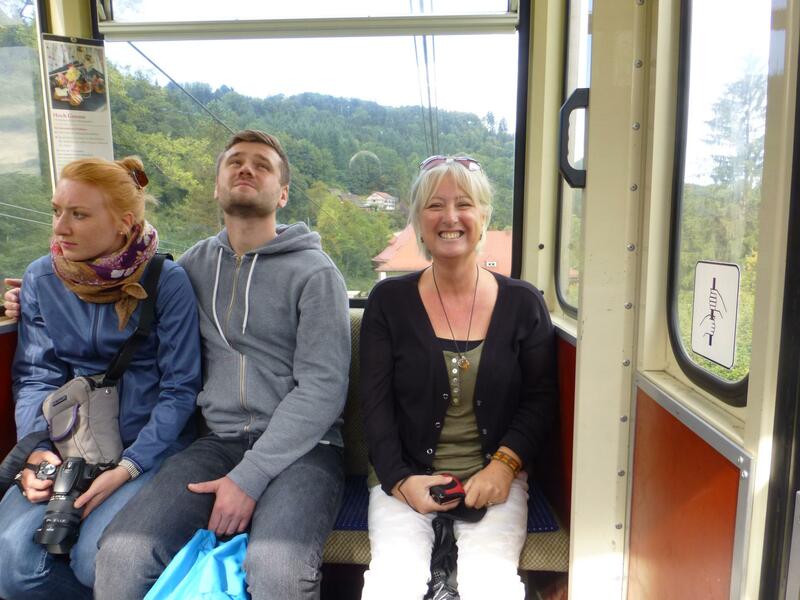 We spent the afternoon riding the trams around the city as we had an 24 hour pass and decided to get our money worth. Much quieter everywhere on a Sunday and a pleasant enough way to see the whole city, especially with a stop off for coffee and cake at Starbucks ending the week perfectly. 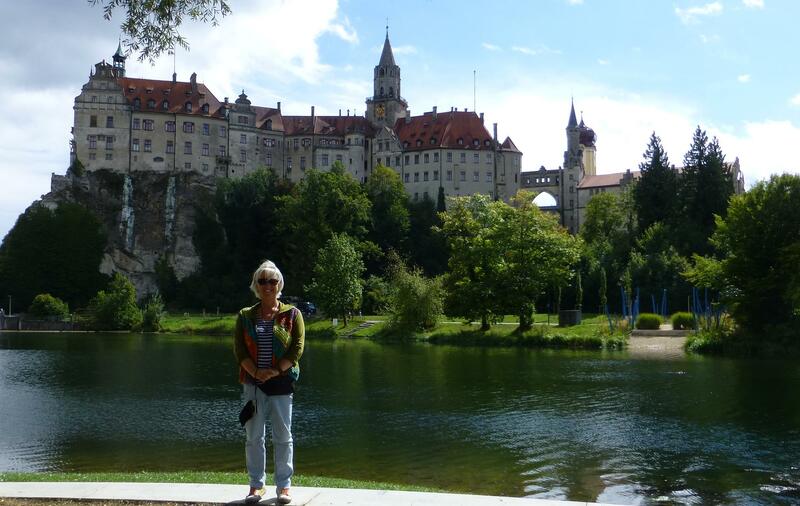 Despite Iain having a frozen face we took a hop to Sigmaringen, a small town just 20 minutes up the road. The whole town is dominated by the castle perched on a chalk cliff that towers over 120 ft above the Danube. The current castle was rebuilt after a fire in 1893 (the towers being the only original part of the medieval castle that remain). For a short while the castle was the seat of the French Vichy Government, moved there by the Gestapo after the Allies liberated France. Now its a museum as the family owners (claimants to the Romanian throne) live in other castles in the area. As we are becoming used to the town was immaculate, shops, streets, pavements cafes – everything neat and beautifully kept. We were both very much loving the town, stopped for a drink in a pavement cafe and a bottle of fizzy water costs us €5 – we weren’t so impressed. That aside though we are finding Germany very welcoming and easy, every village has a dedicated area for motorhomes to park, the prices (except water) seem cheaper than most Western European countries and the dreaded height barrier doesn’t seem much in evidence. 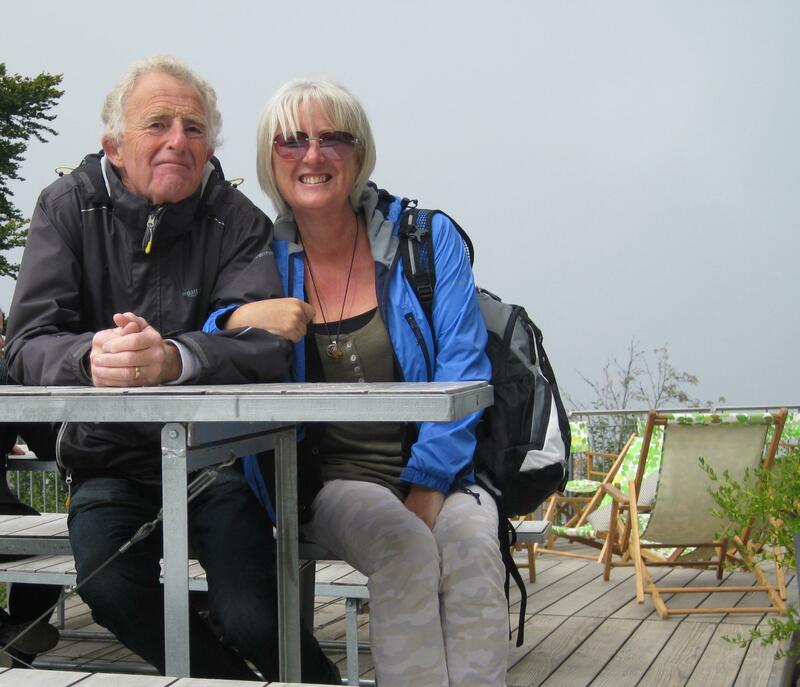 Our belief that everyone can speak English is as wrong as ever – whilst the youngsters seem fluent the older generations speak very little English – not too worry my German is astounding them daily. The local greeting here translates to something akin to “God’s blessings” it seems I have been greeting people saying “Great big God” instead! what is brilliant is no-one seems to care, people just nod, smile and say “hallo”. 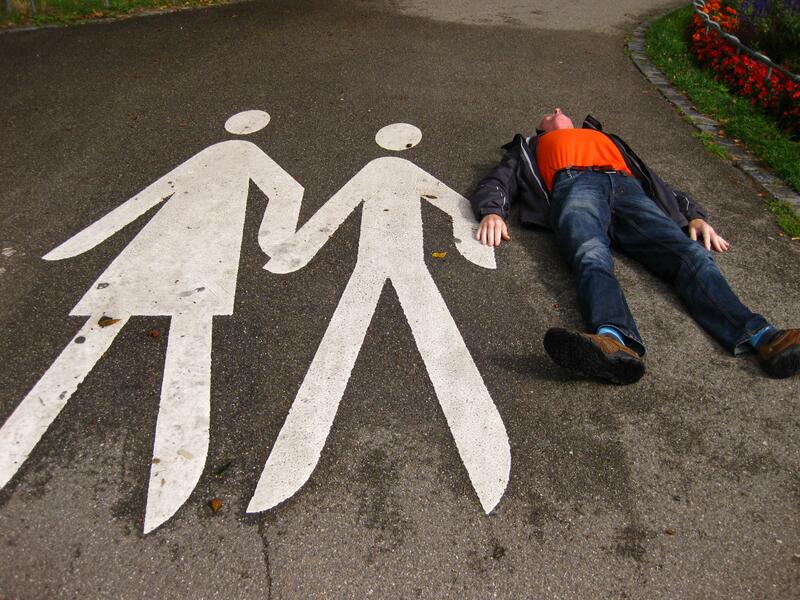 We do find the Germans to be slightly reserved, they are not rude just maybe a little formal. Usually we find if we speak first they are happy to chat in response, one German lady told us it is often that they don’t feel they know enough English to converse fluently so in those cases feel it better to stay quiet, as opposed to us who just say it a little louder and hope the translation comes across. 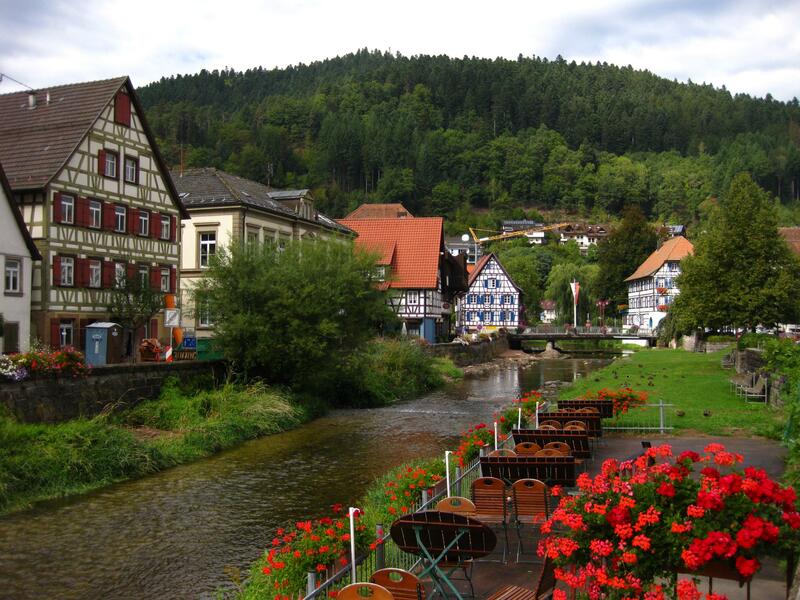 The Black Forest is of course famous for cuckoo clocks and I love them. 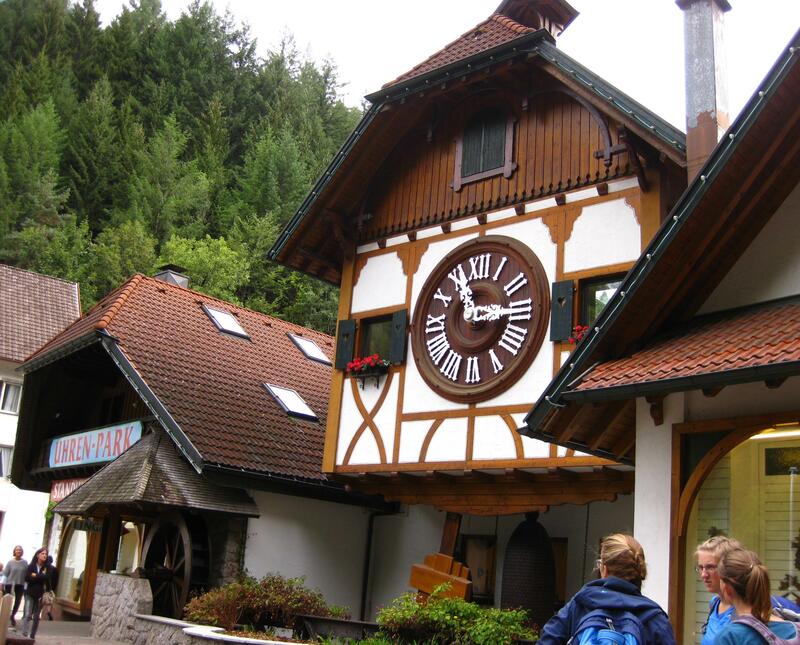 So much so we had to go see the biggest cuckoo clock in the world in Schontach. There was one each end of the building, the first one you put in a euro and the giant figurine came out as the music jingled, the other end was an authentic clock with all the workings. Inside it was cuckoo heaven – clocks everywhere ranging from €20 to €900 – could have stood there all day listening to them (and watching goggle eyed as a couple purchase one for €850!). As we headed through Triberg it became apparent that you can have too much of a good thing, more and more cuckoo shops, and oddly enough another four of the “worlds biggest cuckoo clocks” within a 20 mile radius – so that’s five all awarded the title by Guinness Book of Records, no idea how that works? Triberg itself held little of other interest, it does hold two of the only dedicated “men’s parking spaces” on earth but we made do with the main town car-park which was reasonably empty, enabling Iain to park without the need of a ‘special man space’ :). 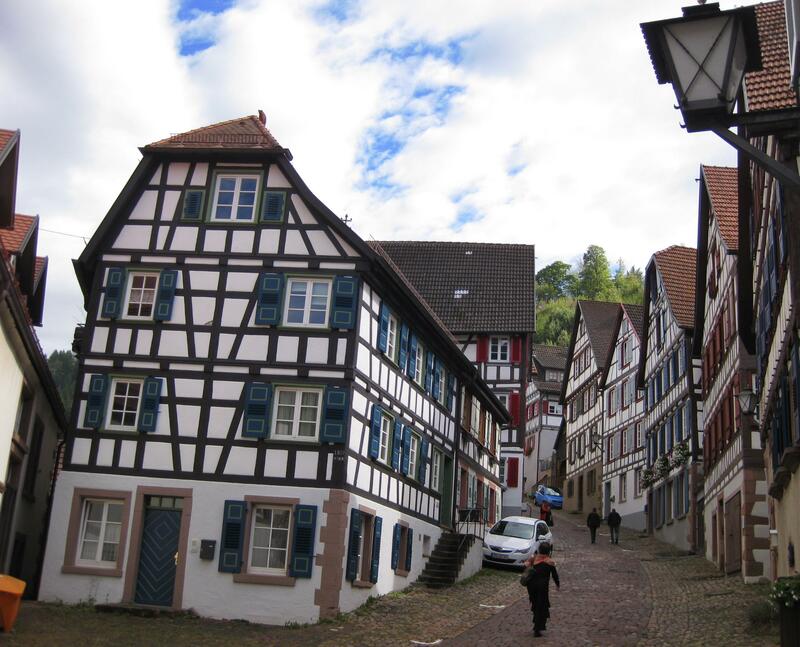 We found Schiltach, a cosy little half timbered village, much more to our liking with a campsite right in the village; we squeezed down the entrance where various roof overhangs threatened to turn the van into a cabriolet. 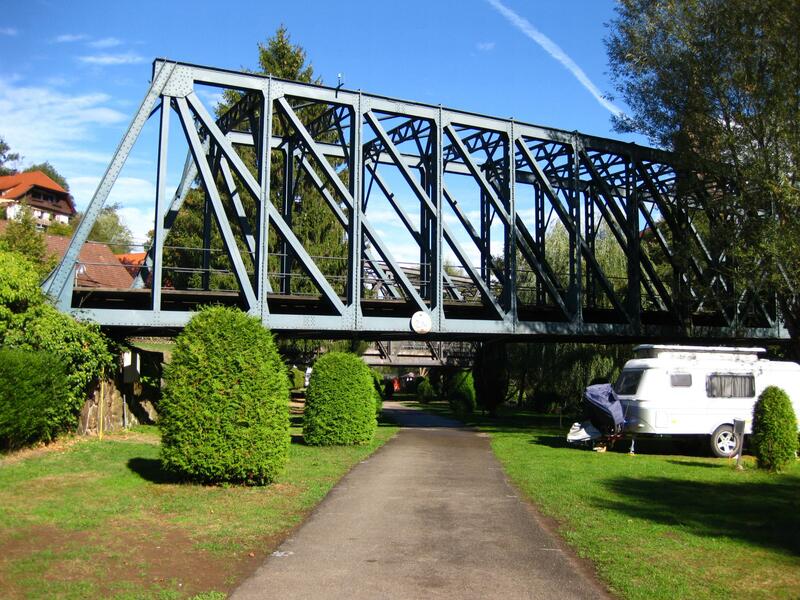 Down on the pitches we had a choice of three, after that there is a railway bridge right across the middle of the site – which is 5 cm lower than our roof – its a dangerous place for motorhomes for sure. There is one VW past the railway bridge – no idea how it got there and we are staying as long as it takes to see how the hell its getting back out :). 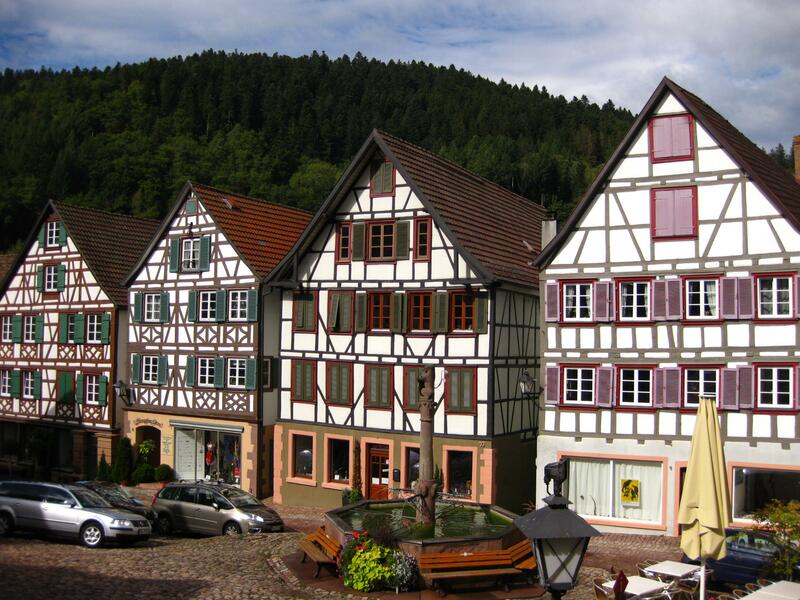 Schiltach is, for us, exactly what a Black Forest village should look like. 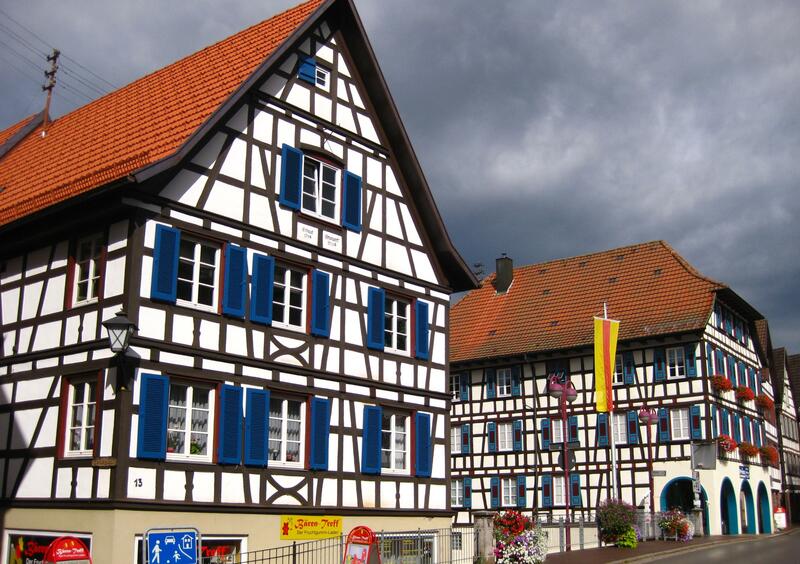 The ‘German Half Timbered House Road’ (imaginatively named) runs through the village and the amount of car-parking available would seem to denote that its a busy tourist attraction. On a drizzly day though there were just a few hardy souls wandering around . There must be somewhere between 40-50 vernacular half timbered houses built anywhere between the 16th and 19th centuries. Tight cobble streets run up the hills between the houses with a medieval market place at the heart of town. For us, quite simply stunning – we loved it so much we went in for a wander in the morning, stopped for coffee and cake then came back to the campsite. Late afternoon we went in a second time to walk the same route and make sure we had seen everything, we met up with an English couple who we first met last weekend at another town. They told us about a walk up a steep hill to the site of the former castle – we both agreed steeps hills to where something used to be were not for us.